an overdue look at the lost and found. 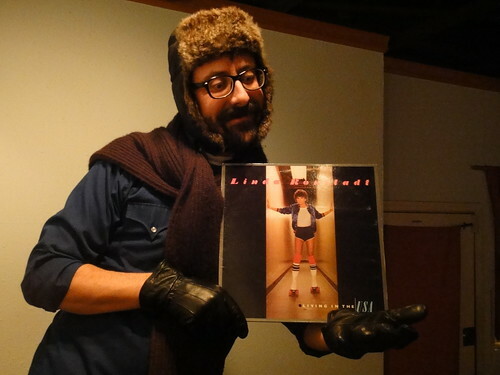 vinyl: linda ronstadt, living in the usa, 1978.
scarf: brown, knit, with tassels. gloves: black, leather, soft quilted lining, medium size. hat: fur lined, waxed cotton exterior, aviator style; ear flaps with chin strap. …..and some other items that will soon enough be gone.